Prom is only a few weeks away and you need to make sure you feel like a princess on this special night. After all, you need a style that looks great on the dance floor but translates well for the countless photo ops. That means you need to invest in the best dress, beautiful makeup, and runway-ready hair. When you want to slay this prom season, here are some of the top tips and tricks to look as beautiful as you feel. This simple trick is the best way to form a cohesive look on prom night. Even painting your nails a shimmery shade of gold can help you feel more elegant on prom night. This is also a great way to blend an otherwise jumbled look. For example, a tie-dye dress might not go with your favorite pair of black heels. Painting your fingernails to match your shoes and makeup can help you form a statement look without sacrificing the best parts of your look. Whether you choose to go to a professional salon or perform an at-home spa night before the big day, don’t hesitate to make your nails a statement piece. There are a few essential accessories you should rely on to form the ultimate prom look: earrings, a necklace, a bracelet, and rings. Keep in mind that rings and bracelets should be kept to a bare minimum. After all, they’re the easiest to lose when you’re spending the evening on the dance floor. Instead, choose earrings and a beautiful necklace that offer a bit of flair. Long, dangling earrings look best with a high neckline or a plunging neckline. For dresses with regular necklines and dazzling accents, try to keep earrings simple to allow the dress to speak for itself. These types of dresses also look beautiful with statement necklaces. However, don’t choose a striking necklace if your dress already has plenty of detail at the top. When it’s all said and done, your hair is the true stunner on prom night. This is the feature that will grace every photo in your home album and the school yearbook. It’s no wonder that countless people invest in professional stylists and celebrity hair extensions for the occasion. Whether you choose an updo or invest in mermaid locks, non damaging hair extensions can add volume and depth to any prom look. But you can’t pick any run-of-the-mill tape in extension. 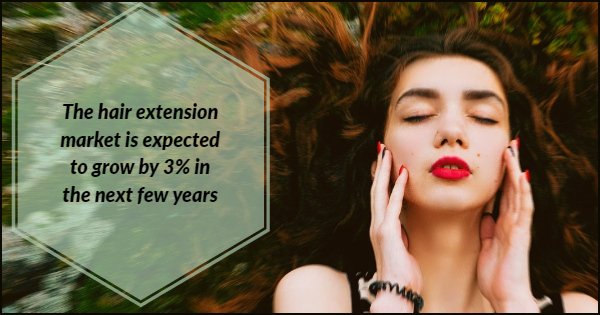 Thanks to innovation in individual hair extensions, the hair extension market is expected to grow by 3% in the next few years. When you want rich, luxurious celebrity hair extensions, you have to rely on the experts at Chaviv Hair. Chaviv Hair offers a variety of hand tied extensions, keratin extensions, and microbeaded extensions designed to make your hair look great. Thanks to their non damaging extensions, you can achieve a prom-worthy look without sacrificing the health of your real hair. Contact our team of experts when you want to slay on your prom night.